We are famous for the manufacturing, Wholesaling, Exporting and service providing of a wide assortment of Magic Mirror and Retail Kiosk. These offered products are known for their scratch resistance and supreme quality. Ice Digitek India Private Limited was commenced in the year 1999, with an affirmation to manufacturing, Wholesaling, Exporting and service providing a high-quality range of Magic Mirror and Retail Kiosk. 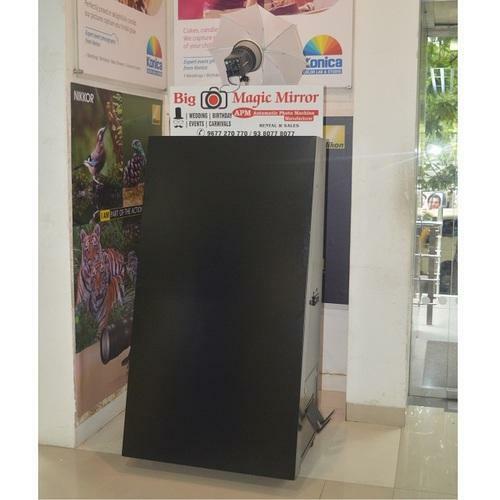 Offered products range consists of Ice Big Magic Mirror, Big Selfie Photo Booth, and Big Magic Mirror Photo Booth and much more. The entire range is designed and developed as per the set quality norms and values of the industry. Our range of products is renowned for precision attributes like longer life, lightweight, simple design, easy to use and low cost.